Sarah, Jeff and I went to Gogyo well over two months ago, so this post is extremely delayed. Our gang of three meet often over food. It’s surprising that we’re able to do this when we each have very different interests and different palates, yet we somehow manage to make eating out together, work. 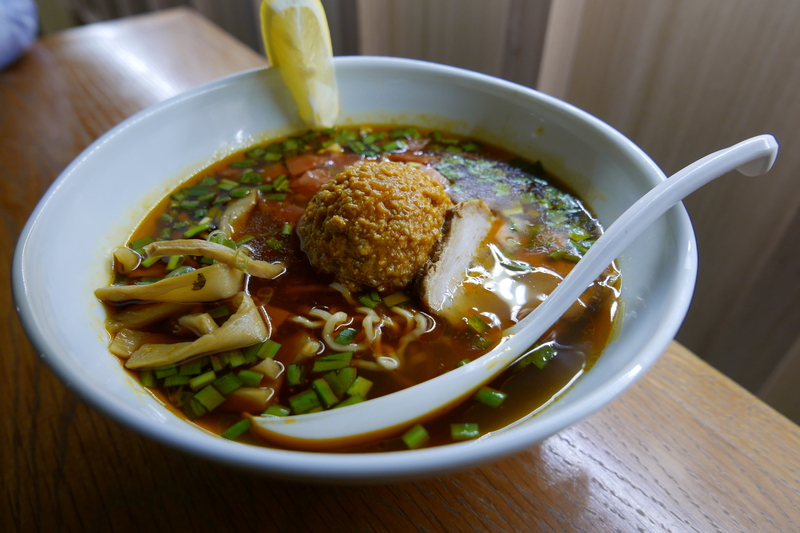 Ramen is one of the food items that sits squarely, at the crux of our Venn diagram. All photos taken by Sarah, on her camera. 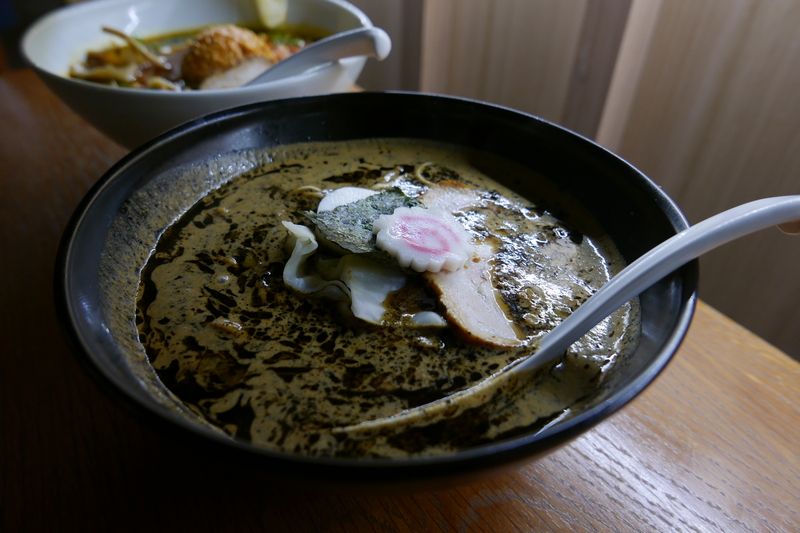 News of Gogyo reverberated throughout Sydney, particularly amongst the ramen aficionados. (My friend Raff has a pretty good write up on his blog). It’s distinct value proposition, its kogashi ramen, is unmistakable in appearance, smell and flavour. Lard is charred in a wok before being added to a base of either shoyu or miso, then combined with an original chicken broth. You then get your usual toppings of chashu and half an umami egg, plus noodles of course. Gogyo has listed the kogashi noodles as #16F medium-thin and low hydrolysis noodles, I don’t know what this means. For most Malaysians, this technique of burning lard isn’t particularly revolutionary. ‘Wok hei’ (breath of the wok) is very much sought after in many of our dishes, as is frying up lard at high heat for aroma and tastiness. Case in point, a really good plate of char kuay teow. 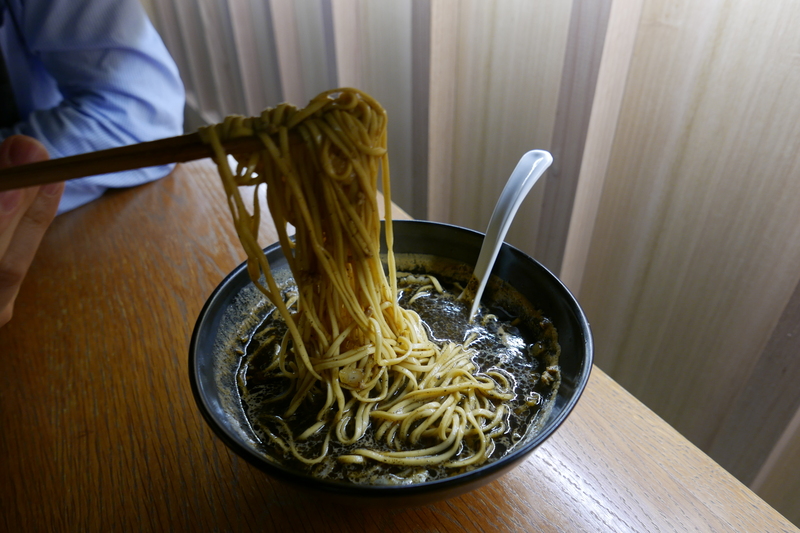 But to bring these elements into ramen definitely makes it rather special. The general consensus that night was yes, it was indeed tasty, despite looking like oil sludge. My only gripe (which Sarah shared the same of) was that while there was a lot of smokiness, there wasn’t a strong flavour that was able to permeate through it. If drinking soup as black as your soul isn’t your jam, there are a few other ramen options on the menu, this bowl of chilli shoyu being one of them. It looks and tastes (according to Sarah) like your usual tantanmen. The broth is spicy chicken, fortified with habanero chicken mince. The addition of menma is a nice touch but coriander haters will want to steer clear away from this bowl. Noodles in this bowl are #18W medium with medium hydrolysis. 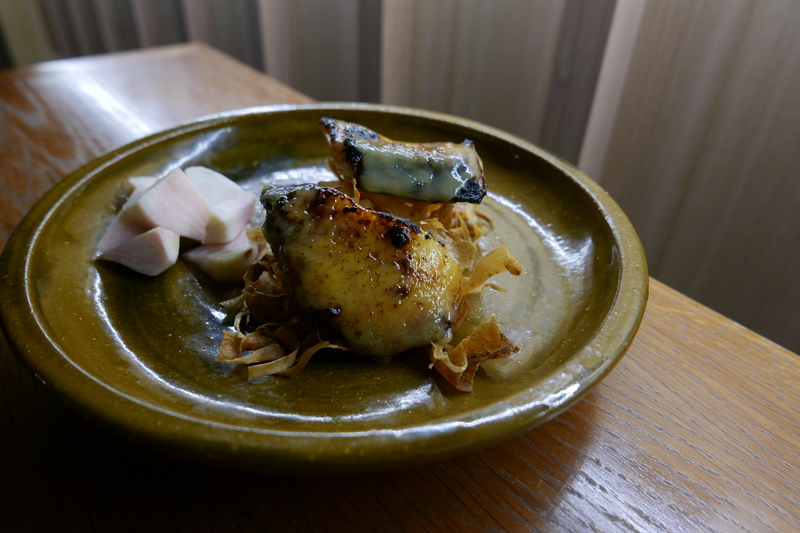 Eggplant is another team favourite and we can never pass up any restaurant’s offering of nasu dengaku. Gogyo serves up a solid contender with a crunchy (but not overly oily or thick) exterior and soft interior, the perfect yin and yang. The sauce we mopped up like liquid gold (so much that I think we needed more), caramelised miso is really something else. 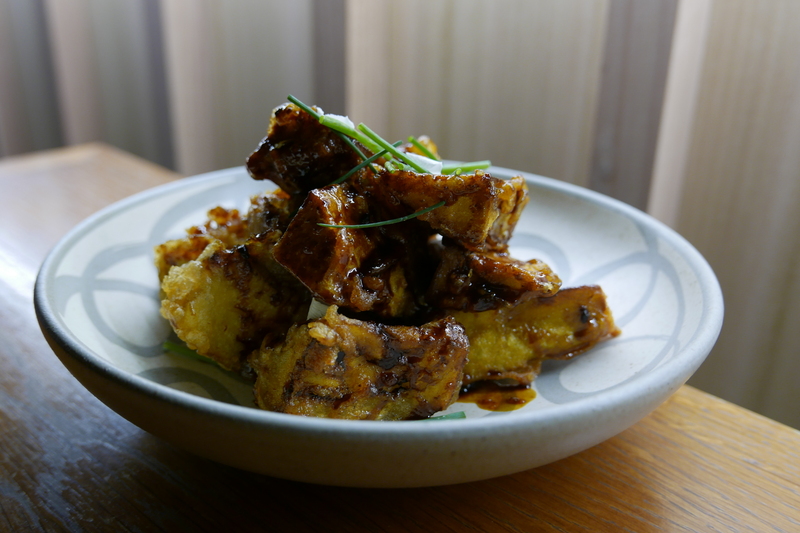 Overall, we thought it was highly similar to a dish at another old haunt, Chinese Noodle House’s braised eggplant. We’re really partial to miso as you can tell with this third dish of the night that utilises the paste. 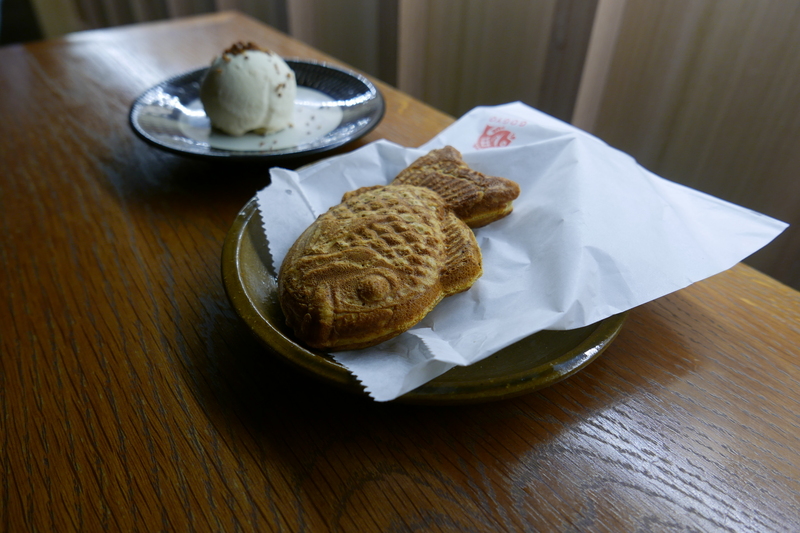 The saikyo miso offering on any menu is always a must-order for me. While the flavours were spot on, I found the level of doneness a little inconsistent on this dish as the big piece was flakier than the little piece. Presumably both were given the same cooking time. This was certainly not the absolute best saikyo miso fish I’ve had but definitely decent for a ramen shop. On a side note, I really love how the Gogyo menu is how laden it is with options other than ramen. It means less of a homogeneous dining table, more flavours to go around and should any one person not be feeling like ramen, it doesn’t break the party up. I’m a sucker for novelty food items and Jeff is a sucker for anything that resembles Korean Samanco ice cream. 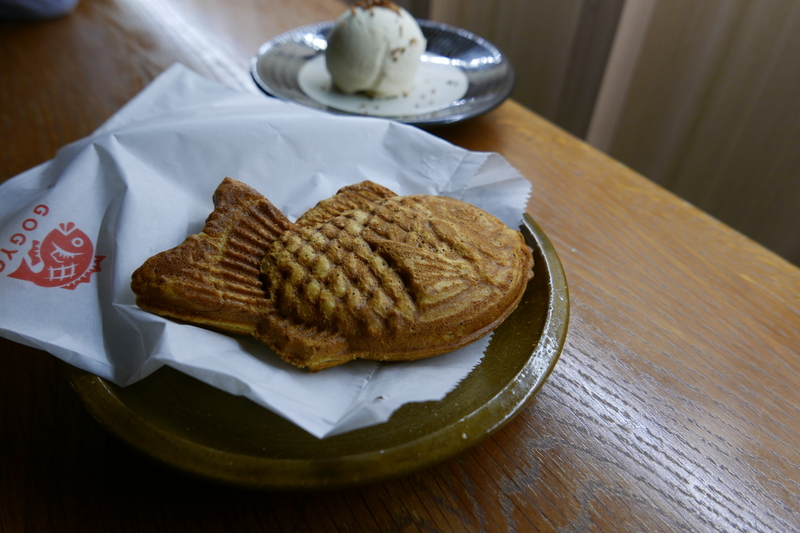 You can choose between red bean and Nutella but we grabbed the former and it paired oh-so well with the nutty roasted ice cream that it came with. I’m slowly getting back in the groove of things for my blog. Thanks for being patient!